The Federal Housing Administration first introduced the FHA home loan program back in 1934. Prior to this time, there really were no universal lending guidelines banks could follow. Instead, banks could issue a loan to buy a home under most any standards they deemed necessary. Down payment requirements for most loan programs were rather onerous with some banks asking for a down payment of 50% + of the sales price. Such loans were also short-term in nature coming due in one to five years requiring the borrowers to refinance or otherwise retire the outstanding balance. These guidelines tilted toward financing homes for higher income borrowers. Not many could come up with 50% of the sales price, especially coming out of the Great Depression. Today, FHA provides competitive loan programs for a variety of purposes with low down payments. One of those loan programs is the FHA 203(k) rehabilitation loan. The FHA 203(k) rehab loan program is a combination of a rehabilitation loan and permanent financing rolled into one note and is the most popular of any construct-to-perm financing. FHA loans also carry an inherent government-backed guarantee should the loan ever go into default, including the 203k loan. Lenders are compensated for any loss sustained when a home is foreclosed upon due to non-payment. This guarantee is financed with borrower-paid mortgage insurance. There are two different types of 203(k) loans, a so-called “streamline” version and a standard 203(k) loan. The streamline is used to finance the acquisition and rehabilitation of a property where the necessary repairs add up to less than $35,000 and the rehab doesn’t involve any structural repairs such as foundation problems, roof or wall replacement. With the streamline program, the borrower provides the lender with a cost estimate itemizing the repairs to be made. This estimate is prepared by a licensed contractor. The borrowers then apply for the 203(k) loan and finance enough of the funds needed to buy the property as well as rehabilitate the home. With the streamline, the lender typically disburses half the rehabilitation costs upfront and the final half upon completion of work. Prior to the final draw, the lender will order a property inspection from a licensed inspector to make sure the required repairs have been completed. The streamline 203(k) process is relatively short-term and the time needed to make the repairs is typically less than 60 days. The standard 203(k) is more involved and requires more paperwork, documentation and inspection reports. The first step is to contact an approved FHA lender that offers the 203(k) mortgage product. It’s important to note upfront that just because a mortgage company is FHA approved that means the company also offers the 203(k) loan. This isn’t the case. In fact, many FHA lenders don’t offer the program at all. Why? The 203(k) program requires fund control just like any construction loan. Fund control is a term lenders use to describe the process where funds are released in phases until the property has been completely rehabilitated. For example, let’s say a couple finds a home listed for $100,000 and definitely needs some work. So much work that the property wouldn’t qualify for a traditional financing in its current condition. Example: The buyers hire a general contractor and the contractor makes the determination there needs to be $50,000 in rehab work. The lender doesn’t issue the entire $50,000 but instead issues funds as work progresses to cover the work completed. Once the work is completed the bank sends out an inspector who verifies the property has been fully rehabilitated and issues the final draw. Most mortgage companies aren’t set up to monitor construction progress and issue fund requests as they come up. Most mortgage companies instead accept a loan application for a mortgage, approve the loan and issue funds to finance the purchase. 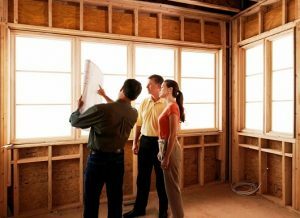 Overseeing the construction process and managing inspections require additional tasks that some mortgage companies simply can’t provide. Once a property is located and the offer is accepted, the process officially begins. The buyers must select a licensed HUD Consultant who will inspect the property and provide a report regarding how much the repairs will cost. Approved FHA lenders can provide a list of approved consultants the borrowers can choose from. The borrowers can locate and provide their own consultant, but if the consultant is not on the lenders approved list, the consultant must go through the approval process with the selected lender. It’s good practice to use a consultant already approved to save time and expense of getting a consultant approved by the lender. With the 203(k) program, standard FHA credit and income guidelines apply. Final loan amounts must also be at or under the 2019 FHA loan limit for the area. Loan amounts are calculated at 110% of the “as repaired” value of the home. This value is established by the approved appraisal. The appraiser will be provided a copy of the necessary repairs. Before making a visit to the subject property the appraiser will research recent sales of similar properties in good condition that have sold within the previous 12 months with an emphasis on finding sales that have closed sooner than 12 months. The appraiser will then make a physical inspection of the property and ultimately arriving at a final value under the notion the repairs have already been made. During the appraisal process, the lender continues to process and evaluate the loan application. As it relates to credit scores, while the FHA doesn’t require a minimum credit score, most 203(k) lenders and banks will require at least a 620 score. Lenders will also verify the ability to repay the mortgage by comparing gross monthly income with monthly credit obligations including the new principal and interest payment, taxes, homeowners insurance and mortgage insurance. FHA loans also require there be at least a two-year employment history. Recent pay check stubs covering a 60 day period will be required to verify income. The last two years of W2 forms and/or tax returns will also be needed which supports current income and also establishes the two-year employment requirement. The lender will also ask the borrowers to sign the IRS form 4506-T. This form allows the lender to request copies of federal income tax transcripts and compare income reported to the IRS with what appears on the application, pay check stubs and W2 forms. Other third-party services are ordered to fully document the FHA 203(k) application including a title search and title report, settlement services and attorney or escrow charges among others. The minimum down payment requirement is 3.5% of the final value of the home as established by the appraisal. If the as-repaired value comes in at $150,000, the down payment is 3.5% of that amount, or $5,250. In addition to the down payment, there will also be closing costs associated with necessary services. Closing costs can vary based on location, but 3-5% of the loan amount is a good average. To verify the borrowers have sufficient funds to close on the transaction, recent bank and investment statements will be provided to the lender. Read more about basic FHA loan details here. As the rehabilitation nears completion, the lender is contracted to begin the next steps. Once the lender is notified the property has been completely rehabilitated the lender orders a final inspection by the HUD-approved inspector. The lender then releases the final draw and the 203(k) process is complete. Applicants will want to keep in mind the 203K loan is strictly for primary homes you intend to live in. The program can not be used for vacation or investment property purchases. Want to learn more? Please connect with us by calling the number above, or just submit the Info Request Form on this page.